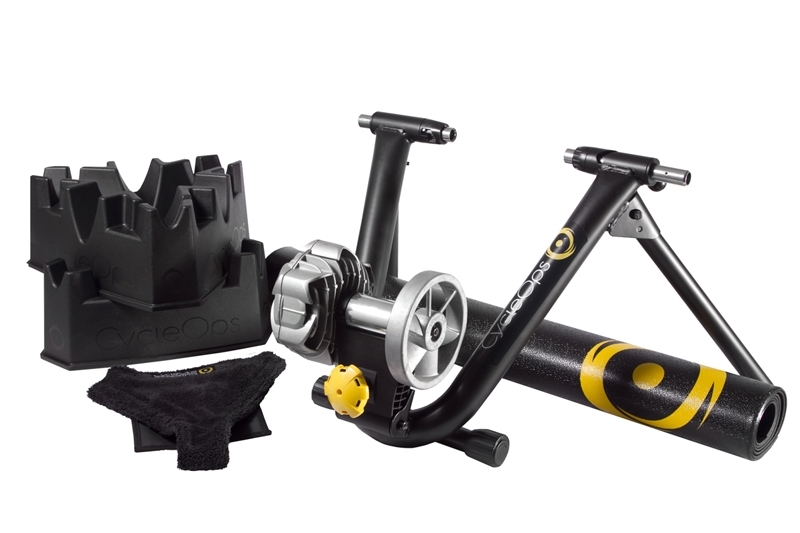 The CycleOps Fluid Trainers fit a wide variety of wheel sizes. Designed with Power Band technology, it allows resistance levels to vary with cadence or gear shifts. 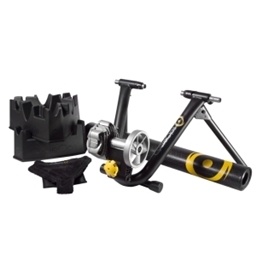 How do I choose a bicycle trainer? Quiet, easy set up, quality, hard workout capability. Easy to set up. Compact. Variety of resistance options. Free trainer program trial. Better than wasting my money on a gym membership to just use the bikes. Will pay for itself in no time. The directions were unclear as to which way the wheel was supposed to go. I had my friend that has the same trainer tell me I had it on backwards and that's why it wasn't working. I researched a little bit before making this purchase. This indoor trainer probably has the highest value at this price range. Easy to setup, not much maintenance needed. Overall I'm happy with the price I paid. Even though I did require to send it back a couple months back because it was making a ticking noise, warranty was covered. Not much I can say here. Maybe the price for it's mat is a little bit high. It should come with a simple cheap plastic stand for the front wheel. For first time buyer to use it until they figure that they should buy a bigger stable stand. "At CycleOps, we want to support your training year-round by providing you with the best trainers, rollers and indoor cycles. Whether you are riding indoors for fitness or are training to win a road race or triathlon, we've got you covered." Trainer resistance is available in fluid, wind, magnetic and electronic. Magnetic trainers are most common and have fixed levels of resistance. Fluid trainers have progressive levels of resistance; the harder you pedal, the more resistance they provide. Wind trainers tend to be very noisy, as they generate their resistance from a fan. Electronic trainers require a power source and can often provide the most powerful and precise levels of resistance. They sometimes can include virtual reality interfaces for a more interactive experience.